It’s time to escape again, inmates! Escape by yourself, or with up to three friends locally or online in The Escapists 2, now available on Steam, PlayStation 4, Xbox One, Nintendo Switch, iOS and Android! In a first for the series, The Escapists 2 offers drop-in/drop-out play offering split screen and online play for up to four players in both co-op and versus modes! 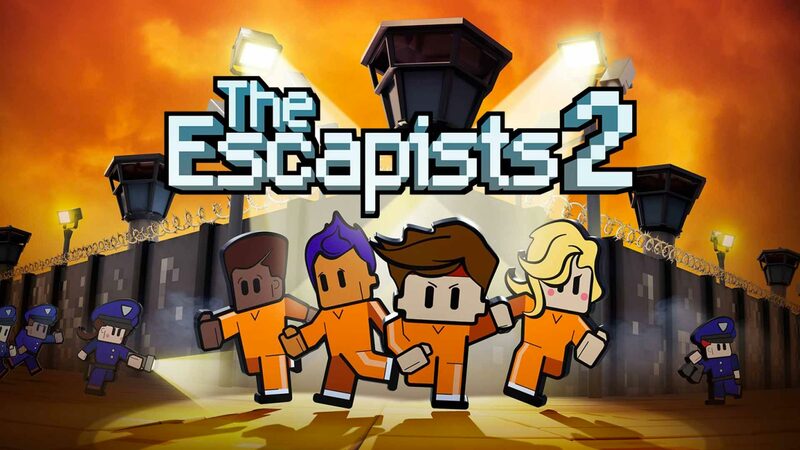 The Escapists 2 features brand new ways to escape from our upgraded multi-level prisons, more items than ever before and a new crafting system, there is so many more ways to make a break for freedom! Featuring a revamped combat system, you can now lock onto your targets, block, and perform both light and heavy attacks. An all new graphics style immerses players in a deeper, richer world whilst still staying true to the unique art style of The Escapists. There are so many more things to do in The Escapists 2! Join a band, learn to paint, pick up a new hobby, there has never been so many ways to escape! The Glorious Regime added to The Escapists 2: Pocket Breakout via FREE update! The Escapists 2 is heading to mobile!